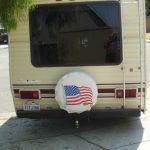 Recent improvements: Monroe MAX air shocks in rear – New 6 ply tires – water heater – clutch assembly & resurface flywheel – water pump – rear axle gasket – main rear seal – thermostat – TIMING BELT – Both new batteries – new radio – shift bushing – rear brakes – fronts are OK. 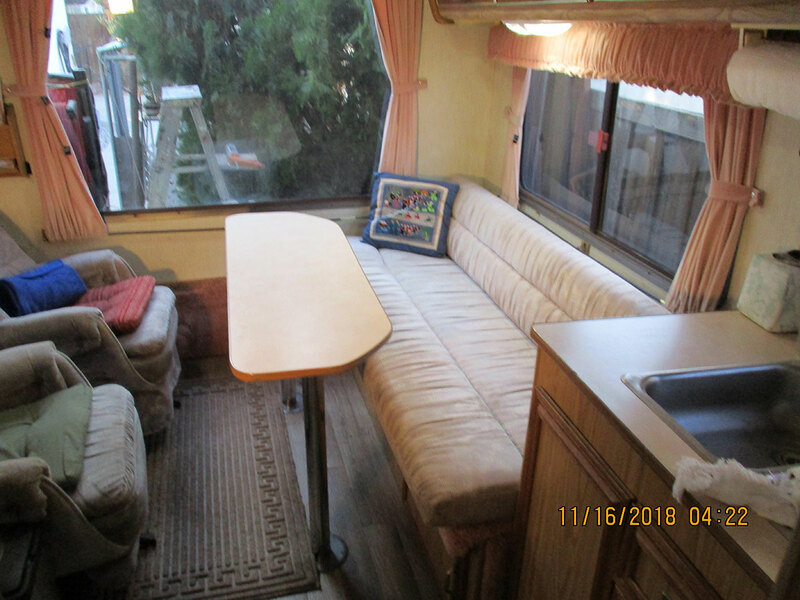 Dinette easily converts into full sized bed. 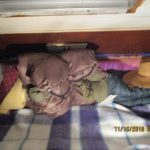 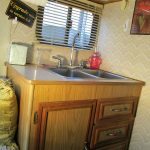 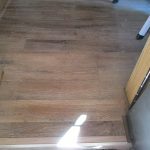 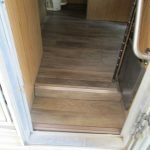 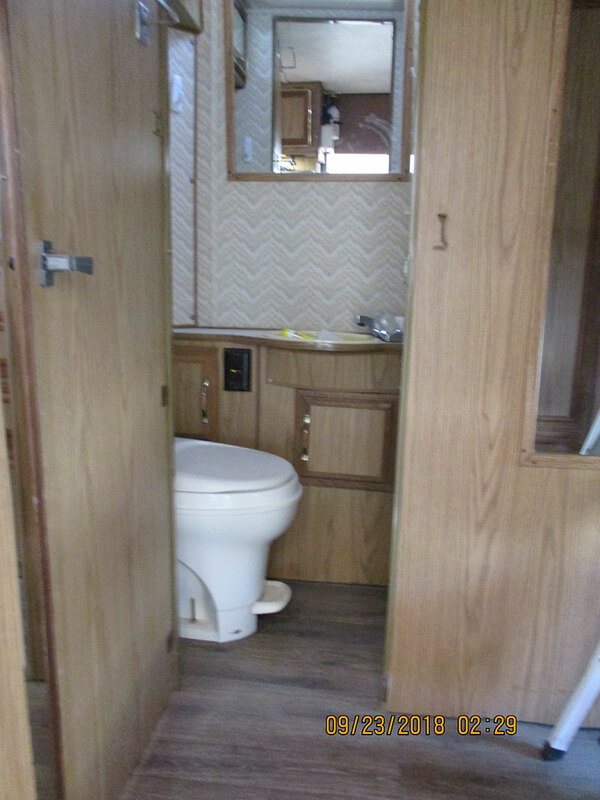 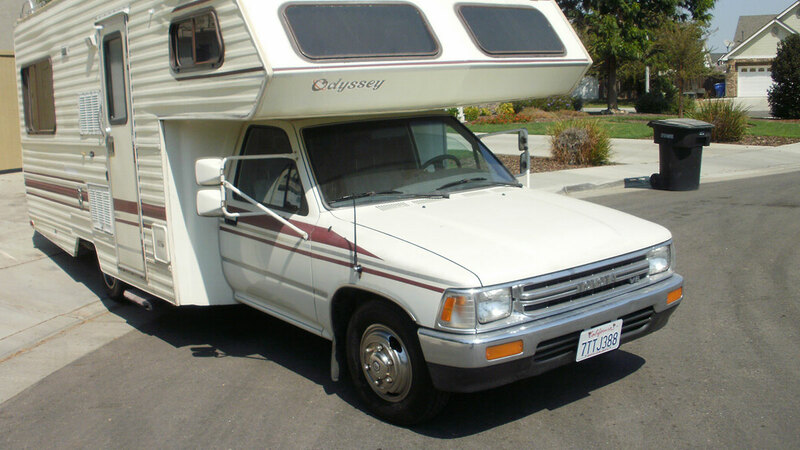 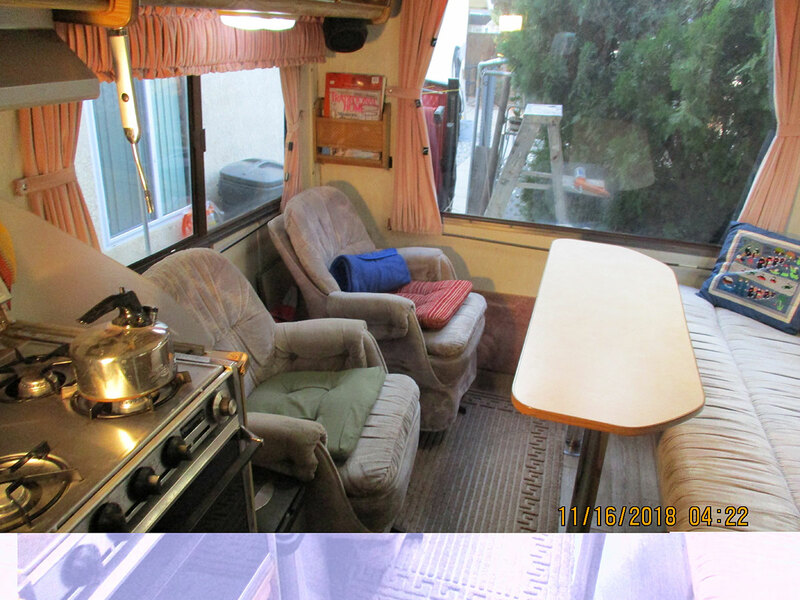 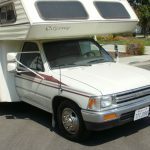 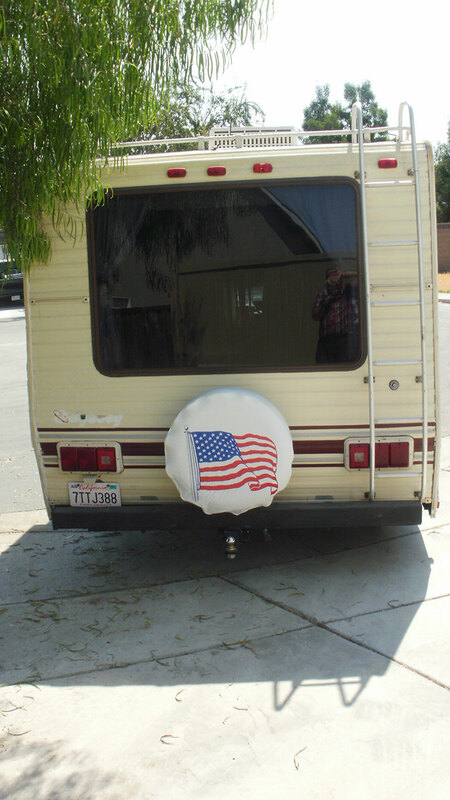 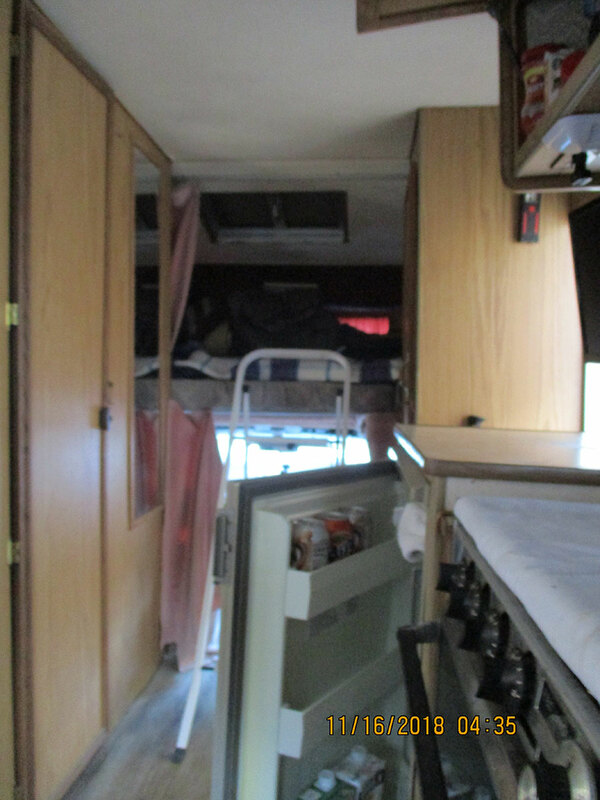 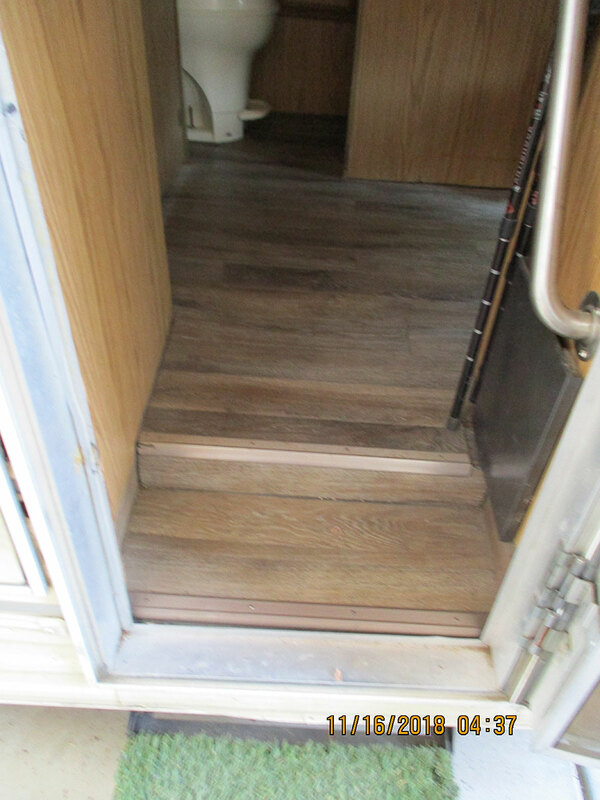 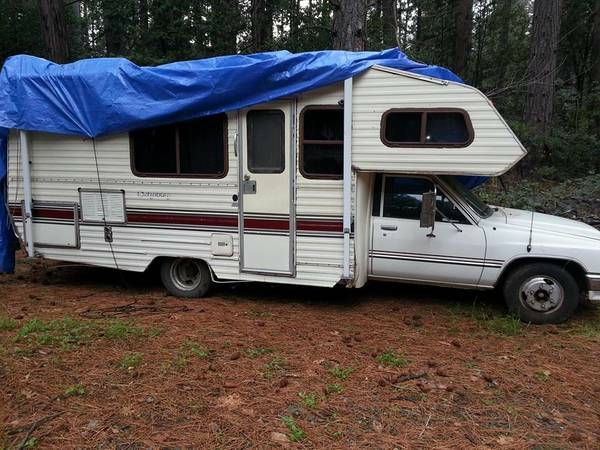 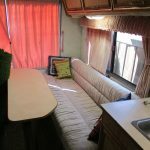 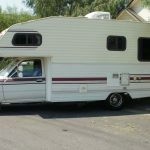 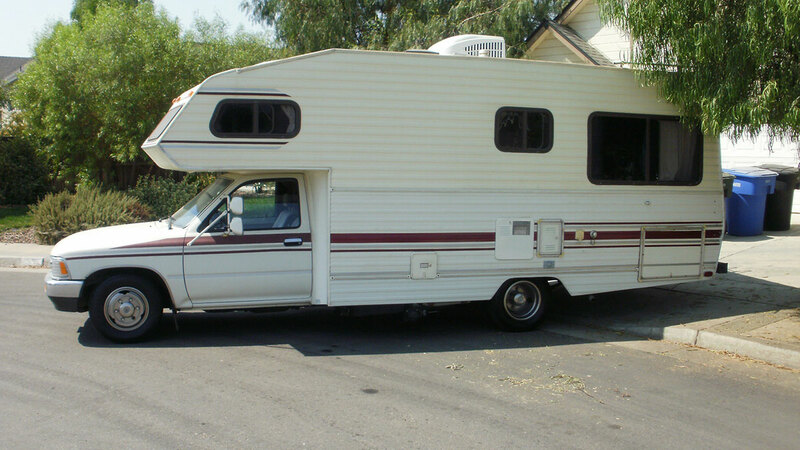 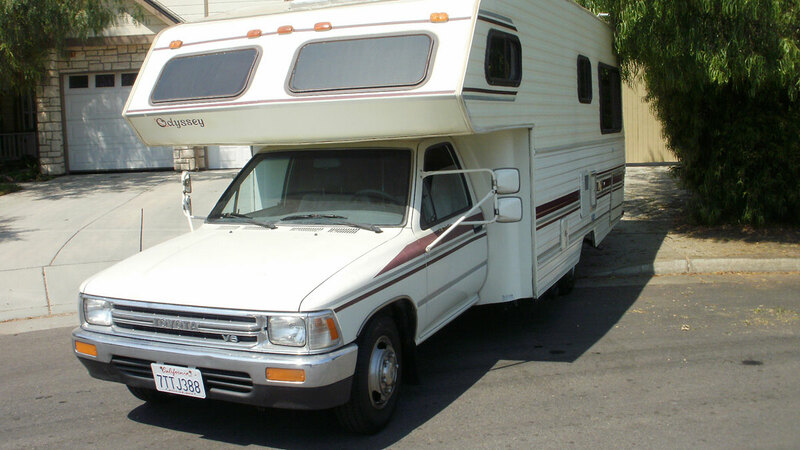 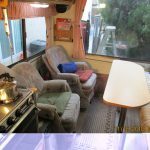 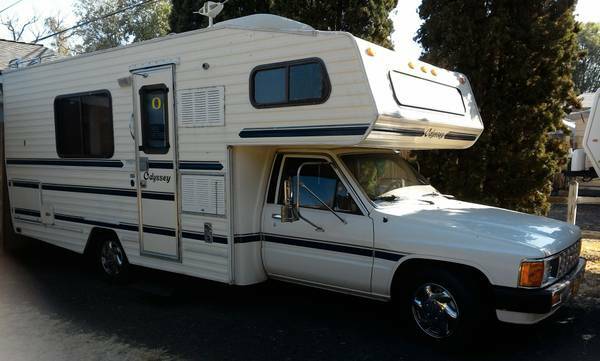 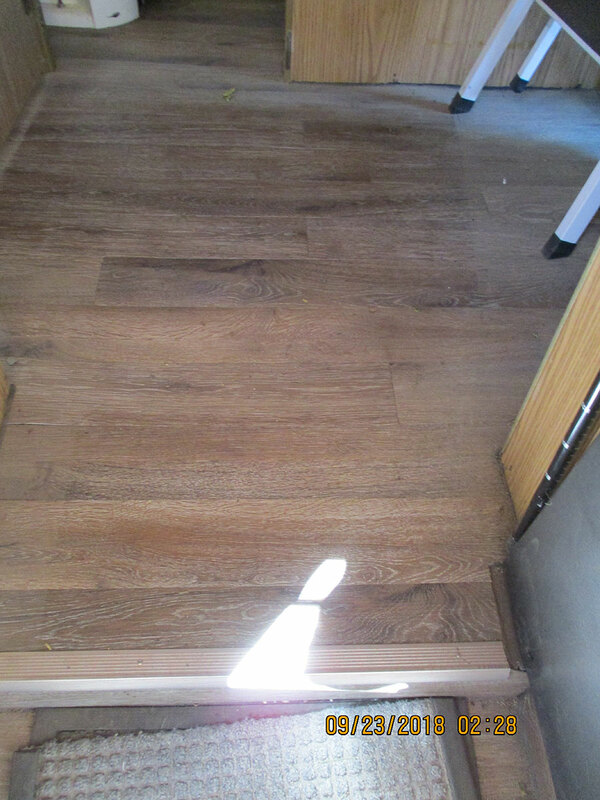 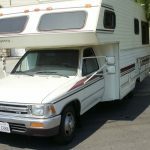 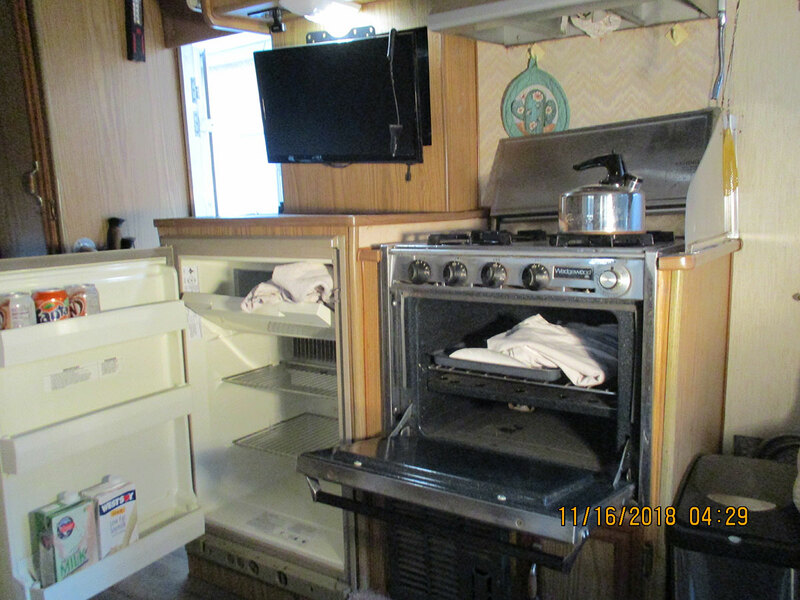 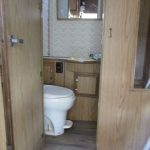 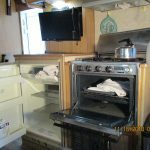 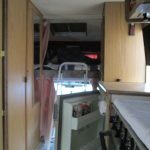 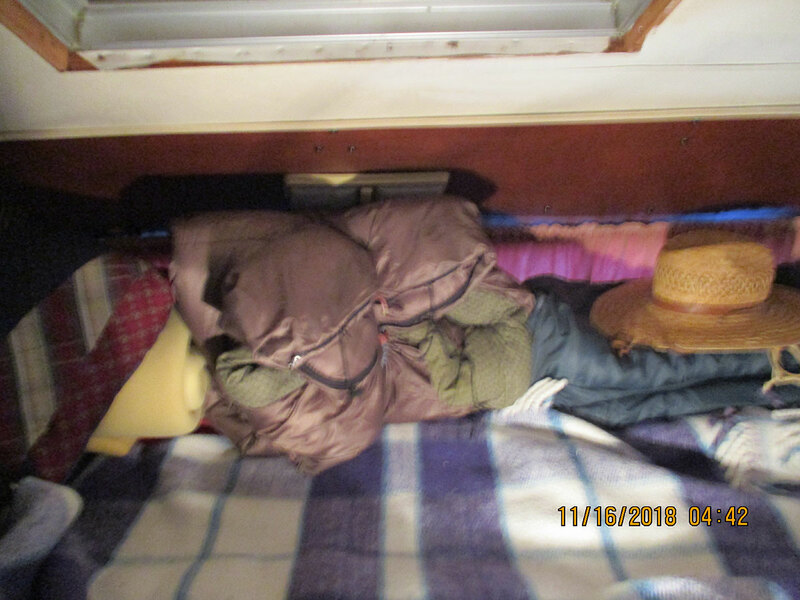 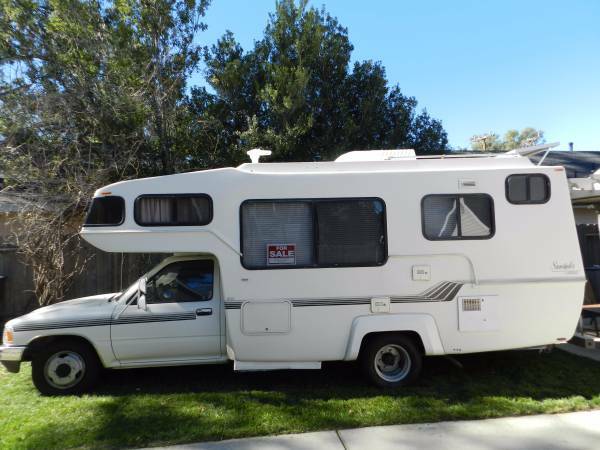 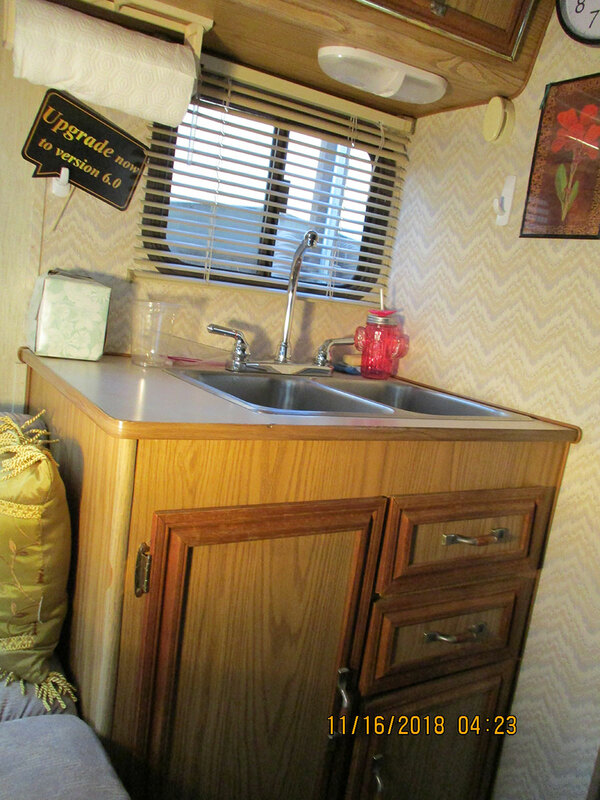 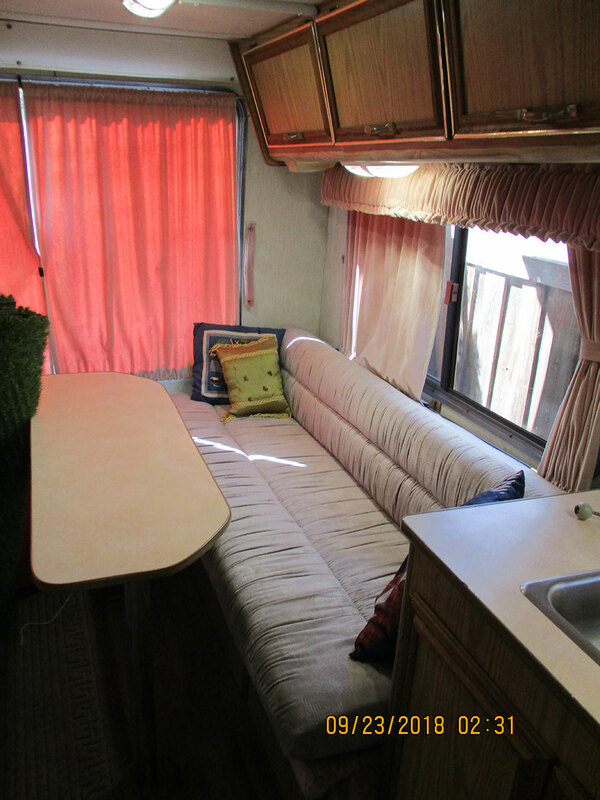 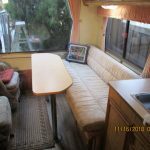 above cab bed is full size – Two very comfortable bucket chairs in lounge area – very large panoramic wrap around windows – Above cab bed (60″ x 78″) is very privatized which is the opposite of most Toyota camper beds.